After months of deliberation in a case that stands to affect the lives of millions of women across the country, the Supreme Court handed down its first major abortion decision in nearly a decade Monday. The Supreme Court ruled 5-3 in favor of Whole Women's Health in a dramatic victory for reproductive rights advocates seeking to protect a woman's constitutional right to abortion. To provide some insight into their thought process, the Supreme Court justices released majority and dissenting opinions along with their ruling. 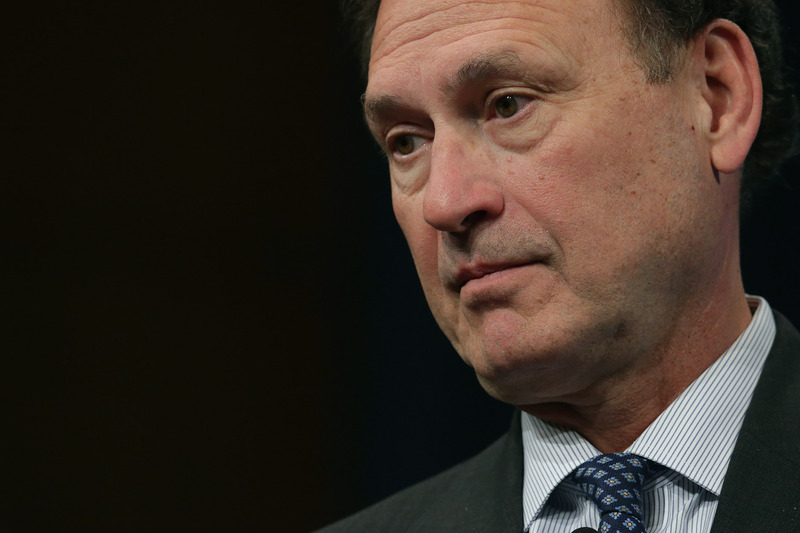 To better understand the vote, read Justice Samuel Alito's dissent on the Supreme Court abortion ruling as part of the full text of the ruling, which can be found in PDF form here. In Whole Women's Health v. Hellerstedt, the Supreme Court was tasked with ruling on whether a 2013 Texas law (heavily supported by Republicans) imposing a series of strict regulations on abortion providers placed an undue burden on women's constitutional right to abortion. The case is a major test to the margins of abortion rights established in Roe v. Wade. Under the Texas Omnibus Abortion Bill, known more commonly as HB2, abortion clinics are required to meet the same standards demanded of "ambulatory surgical centers" and doctors who perform abortions are compelled to obtain admitting privileges from a hospital no more than 30 miles away from the clinic. While the bill's supporters claim the law aims to protect women's health and safety, abortion rights activists argue the costly requirements demanded aim to curb access to abortion in the state with nearly half of Texas abortion clinics forced to close because of the law. More clinics would have likely closed if the high court had ruled in favor of the 2013 law. The Supreme Court's ruling in Whole Women's Health v. Hellerstedt will likely affect more than just the 13 million-plus women living in the state of Texas. It stands to set a new precedent on abortion access and women's reproductive rights nationwide as states that have passed laws similar to Texas' HB 2 find their own statues bolstered by the ruling. However, given how divided Americans appear on the issue of abortion, this certainly won't be the last time we see women's reproductive rights up for debate.